At long last, I've decided to join your group. Could you please change the name of my blog and the new link for me? I'll be over at my WP site from here on, and that link goes to my old one. I am #288 in the link, but it shows the title of my last post rather than the name of my blog. Can you please correct it? Thanks. Glad so many of you have joined the group! Thank you for your thoughtful words today, Alex. I apologize for totally spacing this month. My husband's Mamaw passed this last week and I had a lot of running around to do. I feel like such a pain. I just added my new blog address and wanted to let you know if you need to delete the old one, I'm at #54. Sorry! I'm pretty sure this is the last time I'll have to trouble you about deleting/adding a link! You're like Mother Teresa, but with blogs. Just found your site and blogathon from a person's blog on the Blogging A to Z challenge (that's a lot of blogging, I know). Grateful and looking forward to participating. Just joined in too! I love seeing all these writers working and helping each other out! So glad that I found your blog and IWSG blog list. I've added mine and I hope it was what you are thinking/have in mind. I'm also doing the A to Z challenge so I had to multi-task for this past Wednesday ("C" for the challenge). Looking forward to visiting other blogs and commiserating! www.dianeweidenbenner.com "In my own words..."
I've enjoyed reading other writer's posts on this day each month. They always help motivate me. Been feeling extremely insecure myself, lately, so I thought I'd join the party! Thanks, Alex. I just found this group, I'm not joining but will be back to see what this group actually does. I've never written anything so I don't consider myself a writer. I've always wanted to though. I know it takes a certain talent to write and I don't have that. I wouldn't even know how to begin. Then again maybe I'm to hard on myself. I missed two and was removed, can I rejoin or did I blow it? I've just joined the IWSG. Even though I've given up self-doubt for the month of May. Kind of like when I gave up having Asperger Syndrome for Lent. @Captain Alex, I've had your badge with link on my blog for over a year now even though I didn't do the Wednesday's. I'm going to give them a try though and have already made a dent in my blog visiting this morning. Will work on more later today. Thanks for sharing about your doubts about writing. We all have them even if we've "chosen" this as our livelihood. May crept up on me a little too quickly so my post is up, but up late. I just signed up for IWSG! My first post will be June 5, woohoo!!! I've seen these posts on many of my buddies' blogs for the past–what has it been, year or two?–and I'm finally getting in on the supportive action. Great idea, Alex!! I'm late but I'm posting!!! I really love this group and am slowly making my way through the list. Damn, I missed it again, Alex. I don't know what's wrong with me. This time I was ready. I wrote my post and I scheduled it on my blog for "publish at a later date," and off to work I went. Well, I must be doing something wrong with the scheduled post publishing, because this happened once during the A to Z challenge. This is only my second time to use it and both times it failed to publish my post. Sorry, Alex. I finally managed to add the code to my blog post...such a lovely opportunity to meet new interesting people :). Life got in the way of my participation in IWSG for a couple of months. I'd really like to rejoin if I can. Hmm, I used to be part of this group at one point. ): Do you think I could rejoin and try to keep up again this time? I joined here as number 246 and i thought that i did everything, but unfortunately nothing done! I am so sorry to note this, now I am going to embed the page in my page and other formalities. new to this sort of writing things. Good to be here again after a bit gap. I thought that I finished all formalities to join in, unfortunately while checking again I found that i have not finished yet, sorry, here i am with my embedded page. Wow, it looks like there are a lot of new sign ups for this meme now, Alex. It is such a great way to share our feelings and thoughts each month with such a special group of people is very special. I love this idea. Do I have to be a published author to join this? I am so insecure I don't even know if I qualify to join an insecure writers' group ;) just kidding (not really). Seriously, though, I just with a passion (I write a blog) and for a local newsletter once a month, mostly as an outlet. Only recently have I started considering my work getting published and there started the insecurities. ~Rebecca Fyfe o fImagine! Create! Write! Thanks, everyone - you guys are who keep this group growing and strong! I'm late, but wanted to stop by and visit. I always enjoy our IWSG Wednesdays. Thanks for continuing them. Hoping I submitted my blog correctly. I'm bummed I didn't have time YESTERDAY to find this niche, so I'll be sure to chime in for September. I'm only now diving into the world of writing, so if the very least, insecurity is definitely apart of my life. I'm new here and just wanted to say congratulations on your awesome second anniversary! I'd ask anyone who has the time to stop by Beverly Fox's site the Beveled Edge, to cheer her up. I just read her post and she needs to have her spirits lifted. Joined again. Hope it sticks! I participated for the first time! So glad I did. What a great idea! Posting my insecurities to my blog is empowering. I added your link. I can help co-host in October or December, if you still need! So last February everyone became secure! Wow, you struck a nerve! :) Good luck with the continued growth! I just added my link to the bloghop :D looking forward to it! I am a teacher and cannot post on Weds. I had to move my posting to Sat. But it is still there. Thanks for starting this group Alex. It's a great idea and it looks like you've gathered a great group of insecure writers together. I missed this month but I will be joining in next month! Looking forward to it. I've returned to the flock after two months without a post - any chance of being added back onto the roster? Altho I have not participated in the Insecure Writers, I do enjoy reading others' posts. I admire their desire to improve the craft of writing! Yes! 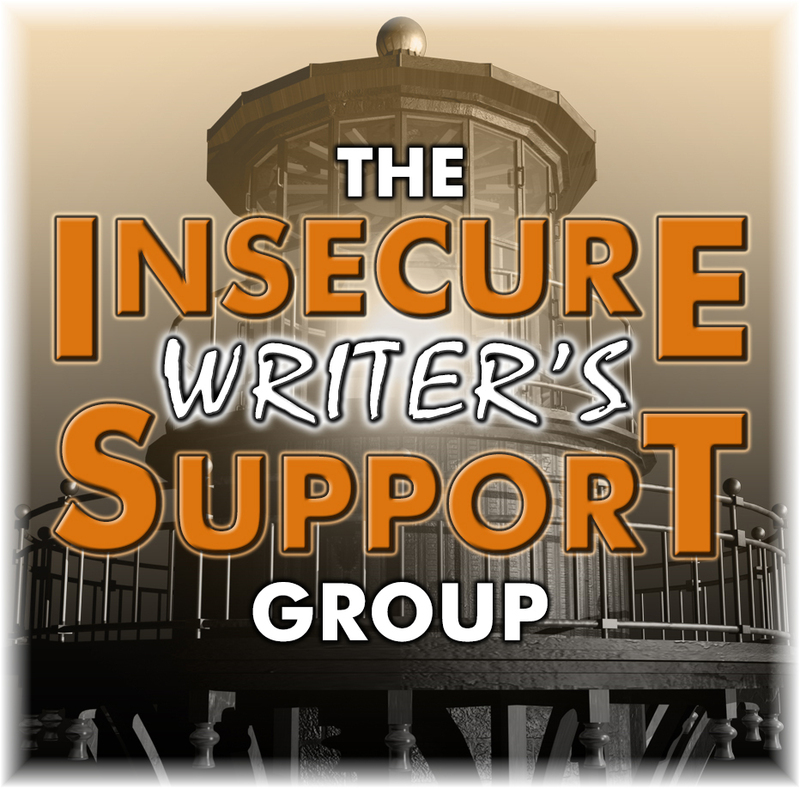 This is one of my favorite writing groups, and does it get much more awesome than each of us supporting one another? Here's to our combined strength! Great Idea. I just joined. My insecurities are already showing, because I am really hoping I did this right. I'm fairly new to having my own website. Thanks for this, Alex! Had to update my post. Forgot to add the photo. All the best to the IWSG! Latest Blog Post: IWSG Post: What if No One Wants to Read Your Book? Great initiative. Greetings from Bhutan, South Asia. Lovely idea. I'm focused on A-Z Challenge this month but maybe next month can spend some time w/ the IWSG group. Found you via one of the A-Z bloggers, Brandon Ax. Aloha from Maui, Maui Jungalow. I've posted every month, albeit sometimes later in the day. Is there a particular time I need to post in order to not get dropped from the list? Alex. I added my blog to your list again. I recently moved and was a day late posting my blog posting for this month. I've been bogged down unpacking boxes. My posting is on there now, though. So once upon a time, I was the 97th person to sign up for this. O.O Almost 330 people now! Wooohoo! First comment in 2014...I think. I know I've been a part of this group years ago, then things became overwhelming as my life at home intensified. Going over the names in the list brings back a strong sense of nostalgia. These guys are my family! I used to visit them quite regularly. Guess what? I'm back!! Thanks, Cap'n, for continuing to steer this ship! Alex, I love the idea of this group. Glad I found out about it through the blog Write by Fey. I'm in! Alex, I missed two months in a row ~ got canned from the roll. :( That's okay, I'm back. Hopefully, I won't make THAT mistake again. Thanks for hosting. I REALLY want to move forward with my book idea, so today I finally got a tid-bit written. :D Have an excellent week! I also got dismissed for missing two months in a row. Like Cathy, I'm back. We've snuck back in. Please and thank you for your pardon Captain. I am really sorry for the lapse from my side to keep up the tempo, I miserably missed two months participation and thus the dismissal! You rock. Yo really are the best, Alex. I can't believe this group has been running for three years. My first post (I think ... ever) was an IWSG post and you and your group welcomed me to the blogging world. Now that I am trying to return to blogging, this is the perfect way to ease back in and hopefully reconnect with old friends and make some new ones. I certainly have been feeling super insecure about my writing progress lately. Thank you. Brand new to blogspot. Glad I found you Alex. Quite an amazing place you have here. I have been writing for a long time, and I am not very insecure about it. However, I continue to follow this wonderful blog because I learn a great deal from the contributors. And I am not alone, which should make everyone feel more secure in their art. Everyone at this website is terrific! Yes, even you, Alex. Thanks. I finally made it on the 1st Wednesday of the month! I've been trying, but we've had health problems (my bf has been in and out of the hospital) and I'm playing viola again. However, with NaNoWriMo starting up again, I wanted to start trying to post something at LEAST once a week. I'm still working on what would be last weeks' post, but at least I'm writing! 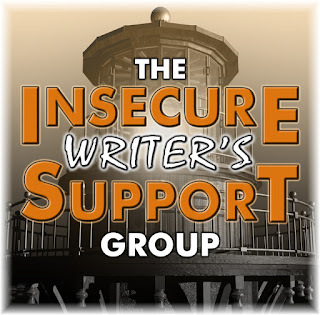 I posted my first IWSG post and have been a long-time follower of several IWSG writers :). This is great group. Thanks for setting all of this up so us insecure writers can have a place to go for help and encouragement. I'm kind of new to this, but I am going to try to participate. I was about to close my blog altogether, but now I'm thinking of simply switching it over to a writer's blog and talking with you guys about writing. Today's post is your IWSG assignment. If you get a chance, check it out. Oh, and speaking of Stephen King (Kathryn Neff Perry just did), I beta-read for him once. It was Stephen H. King, of course, not the BIG Stephen King most of you know. But still, it's fun to tell people I'm a beta-reader for Stephen King. Late to the game, but eager to start in December! I've been seeing these posts around the web for the longest time. Can't wait to take part. :) Thanks for hosting. I've been so busy co hosting I nearly forgot to drop in here and say hi. Actually I'm not sure my typing finger still has the strength, so is it OK if I just wave? Forgot I'd taken so much time away - now re-added! Wow Alex, this is great. Thank you so much for this. I've read your thoughtful comments on Elizabeth S.C.'s blog for years now, and I decided to check out your site. Fabulous!! Studies discussed in Brain and Values have OptiMind shown that the consistency of the rhythm found in the heart brain is capable of changing sometimes in spectacular fashion how effectively the thinking brain functions. In theory that means that what occurs on a feeling level has the capacity to deeply influence what occurs on a thinking level. Is the link for Eve correct? I'm getting weird looking results. I'm not part of the official insecure group, but my heart goes out to everyone on it. Right now I'm proofing YET AGAIN my manuscript and finding embarrassing mistakes, which makes me feel as if I'm never good enough as a writer. Why do I keep messing up? Thank you, Alex, for helping so many of us. Thanks Alex, should have found this long back ! better late than never ! My sister and mother hate my book. I don't know if my book is crap or not. They don't like the style, the paragraph breaks, or the the pace. My sister keeps comparing it against an auther she does like, and states mine doesn't read luke a book at all. I ferl like I've wasted my time. I worked so hard trying to learn, and while hard it was fun. I feel like crushed can of sofa pop. Every month, I try to check out a bunch of new blogs on this list. There are many, which means many like-minded souls out there! Thanks for bringing us all together Alex and keeping up the good work. It is so very interesting to read people's answers to the IWSG questions and learning from the pros. I am so glad to join in again. Hope everyone here are doing well. Good to read this post, Call us at Hotmail Assistance Phone Number NZ +64-98890480 if you have any issue with your Hotmail account in New Zealand. Jacqui told me about this group. Great idea to have this. I know this is unrelated to your link list but I am wondering if you or other participants in ISWG would have links to free online editing tools. I had several suggested by others, but my computer crashed last year and I lost a lot of saved links. Right now I rely on Word and Google Docs which really aren't the greatest tools compared to links I had saved. I have google searched, but those that come up in the search are not the editing tools I once used. If anyone can help suggest, please email me at j3llybeanz@gmail.com Thank you so much. Well a topic I can write about. I won't join the hop. I can't consistently write something worth reading. But I always enjoy reading everyone's posts. This time, I think I'll branch out and read as many posts as I can. Thank you so much for visiting; I really enjoyed your post, too, and totally get why we choose to write in sci-fi/fantasy or speculative fiction so much. It truly is a way for me to transfer life-or world-problems, I may be grappling with to another setting and see it through "fresh eyes". This often allows me to find a decent solution that will work in real life. Or not. I've had that experience, too! Thanks again, and it's so good to be back at #IWSG! Hi Alex. My site seems to be missing from the September 5th (question) 2018 list of members. Maybe I missed it, and if I did, sorry. I have been following all the rules, posting regularly and commenting so I am not sure why my name was deleted. I have not missed a single post after joining. Is the membership restricted to certain countries only? The site I am referring to - A Writer's Site - will not show up in the link here, as blogger automatically links to my blogger website. I’ve posted for the first time this month. I hope I got it right. Next time I’ll be sure to post the badge. I posted on both my blogs, google and Wordpress.